While 2017 was characterized by various fiscal changes, experiments, and abandoned proposals, the tax landscape at the end of 2018 underpins the competitive edge of Romania in the region. Still, there are reasonable threats with regard to the predictability of the tax system, considering the current macroeconomic trends and the budgetary constraints faced by the Romanian government. Joerg Menzer is a German citizen based in Bucharest, where he coordinates Noerr’s CEE practice for international clients. He specializes in M&A transactions and concentrates on structuring major foreign investments and business expansion projects in CEE. Schoenherr has appointed Bucharest Managing Partner Sebastian Gutiu and Partner Matei Florea firm-wide heads for Real Estate and Banking, Finance & Capital Markets, respectively. The Deal: In July 2018, CEE Legal Matters reported that Reff & Associates had advised Dutch shipbuilding group Damen on its take-over of Daewoo Shipbuilding & Marine Engineering Co Ltd.’s participation in Romania’s Daewoo Mangalia shipyard. DSME was advised by CMS. The yard, which was renamed the Damen Shipyards Mangalia, is now operated as a joint venture with the Romanian Government, with Damen assuming operational control. We reached out to both firms for more information. In the context of the ever-changing labor market general framework, in 2018 Romania took decisive steps to align its legislation with the country’s economic landscape. The Vouchers Directive, which regulates the VAT treatment of vouchers across the EU Member States, was agreed upon by the Council of the EU in 2016, and caught the attention of Romanian authorities, tax advisors, and businesses at the end of 2017. Together with other Member States, Romania must design and enforce an appropriate legal framework to ensure the application of the Directive starting in 2019. This year marks Maravela | Asociatii’s fifth anniversary. To mark the occasion, we sat down with Maravela | Asociatii Partner Alina Popescu to learn more about the challenges the firm has overcome in its first five years, its successes, and its plans for the future. Deloitte Legal has been registering impressive growth in the CEE region. CEE Legal Matters sat down with Andrei Burz-Pinzaru, Head of Deloitte Legal in Central Europe, to learn more about what fueled the development of Deloitte’s legal services function and what the firm’s plans are for the future. Law firm spin-offs are a familiar phenomenon in CEE. 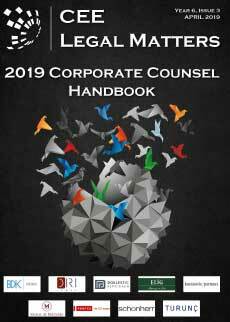 To find out what challenges lawyers have to deal with when they leave established firms to start new ones in the current climate, CEE Legal Matters sat down with several partners who have done just that to get their perspectives on the process. 1999 was the year I started my career as an attorney, as a young graduate from the law school at Bucharest University, just accepted to the Bucharest Bar. Times then were so much different than today, and as 20 years have gone by, I look at what those years have meant for Romania and for me, and how much things have changed for the country I continue to live in and build my personal and professional life in. Inside Insight: Adina Calfa-Dudoiu of Rosia Montana Gold Corporation S.A.
Adina Calfa-Dudoiu is Legal Director at Rosia Montana Gold Corporation S.A., the gold mining project of Canada’s Gabriel Resources in Romania. Before joining RMCG in February 2017, she spent three years as Legal Director of UPC Romania, and another ten in private practice with CMS. Of the five types of corporation that may be established under Romanian law, joint stock and limited liability companies continue to be the most common. Recent statistics show that almost 1 million companies are active in Romania, of which approximately 800,000 are limited liability or joint stock companies. Further, the number of limited liability companies is reportedly double that of joint stock companies. Suciu Popa has advised Central Bottling Company Ltd. on acquisition of sole control of Muller Romania, the Romanian subsidiary of Molkerei Alois Muller GmbH & Co. KG, a multinational producer of dairy products. Bondoc & Asociatii has advised Sarica Niculitel on the acquisition of the Zoresti winery from Domaine Vinarte, which was supported by Wolf Theiss. KPMG Legal Romania has hired Vlad Peligrad and Catalin Oroviceanu as Coordinating Partners. International Arbitration for Business: Energy and Infrasctructure Sectors Uncovered, Sheraton Bucharest Hotel, 21 February 2019, 1.30 p.m.
Can the data protection officer (DPO) be sanctioned? We aim to analyze herein the implications of a long-term activity performed by a data protection officer (DPO) answering to questions including: Can the data protection officer, whether employed or outsourced, be sanctioned when it is established that the company is in breach of data processing rules? If yes - when, by what means and to what extent? 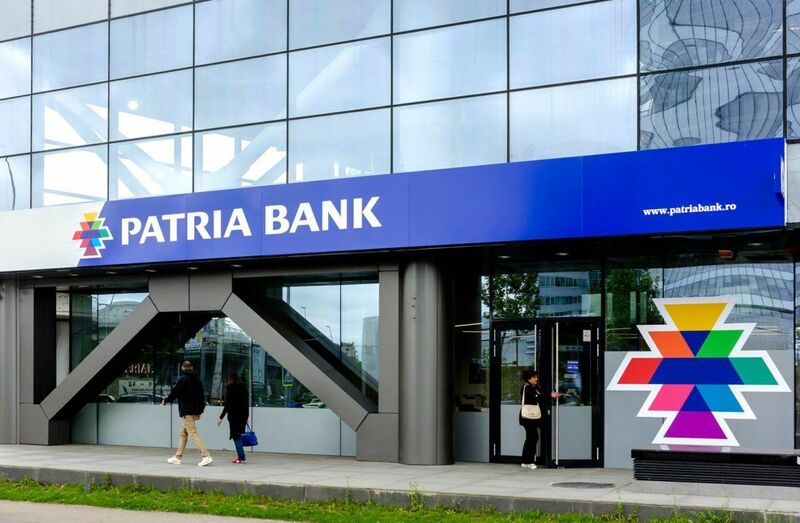 Romania's Reff & Associates, a member of the Deloitte Legal network, has advised Patria Bank on the sale of a portfolio of non-performing loan receivables with a total nominal value of RON 502 million to companies in the KRUK Group.